Tomorrow helps you plan your family's future as the world's first mobile app to combine a will, trust, and insurance into a beautifully unified experience. 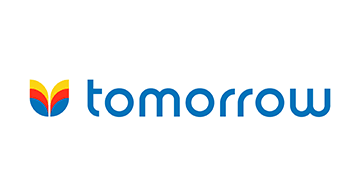 What was once only accessible by those who could afford expensive financial and legal services can now be done for free on your phone by downloading the Tomorrow app. Designed to serve traditional or blended families, the Tomorrow app makes it easy to choose people for important roles like: a guardian if you have kids under 18, a responsible executor, and a trustee to oversee gifts to your family, friends, and causes you care about. With just a few quick taps, the Tomorrow app elegantly organizes all your choices to give you three things: 1) a legal will aligned with the laws in your state, 2) a trust that works in tandem with your will to keep what you own private and out of court, and 3) the option to buy an affordable term life insurance policy to cover your family's immediate financial needs. Tomorrow makes it simple to keep your family safe, and is on a mission to bring financial security to millions of American families.